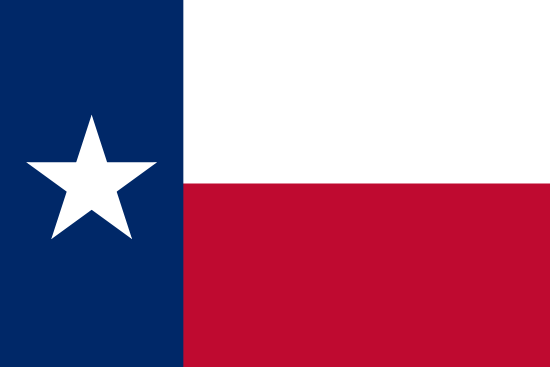 Texas, also known as the “Lone Star State,” is the second largest state in the U.S. and also boasts the second biggest population. The combination of these two factors has led to plenty of sports teams within its boundaries, from college athletics to professional franchises of all stripes. While traditional sports betting is illegal throughout the state, ingenious bettors can still find ways to wager on their favorite team or take advantage of a particularly promising line. We’ll look at the overall status of Texas sports gambling in this article, as well as some of the not-so-legal options available to you. Before we continue, please note that I am not a lawyer. Sure, I’ve watched a lot of Matlock episodes, but wily ‘ol Ben Matlock didn’t specialize in gambling law. Before you fully embrace the exciting world of sports betting, I suggest sitting down with an actual legal expert and discussing your options. I doubt you’ll hear anything too shocking, but it pays to err on the side of caution. Fans of auto racing can also watch events at the Texas Motor Speedway. Opened in 1996, this 1.5 mile track hosts major races in the following series: NASCAR Sprint Cup Series, NASCAR Xfinity Series, NADCAR Camping World Truck Series, and Verizon IndyCar Series. In addition to all of the above, the state also has numerous lesser-known leagues ranging from professional to semi-pro. These include everything from the Arena Football League to minor league baseball. When it comes to overall success, the Longhorns of the University of Texas at Austin lead all other schools in the state. In 2002, it was even selected as “America’s Best Sports College” by the editors of Sports Illustrated. Male varsity teams compete in nine different sports, including football, basketball, baseball, and golf. The women’s program offers 11 sports, with basketball, soccer, and softball among the more notable. In total, their teams have won 50 national titles at last count, with 43 of these being NCAA championships. Texas has a rich history when it comes to competing in March Madness, even though they’ve only managed to win a single title. While legal betting isn’t available, NCAA basketball fans can still take part by filling out a bracket and chipping in a few dollars to their office pool. There are also plenty of online bracket contests to participate in, including one endorsed by Warren Buffett that pays $1 billion to anyone who submits a perfect entry. Here are the most successful basketball programs in the state’s history based on appearances in the later stages of the tournament. • Baylor – Has advanced to the Final Four twice and the Final Two once. • University of Houston – Has advanced to the Final Four five times and the Final Two twice. • SMU – Has advanced to the Final Four once. • University of Texas at Austin – Has advanced to the Final Four on three occasions. • University of Texas at El Paso – In 1966, the school advanced all the way to the finals, becoming the first and (so far) only school in Texas to win a Division I title in men’s basketball. There are no laws prohibiting online sports betting in Texas, although the Unlawful Internet Gambling Enforcement Act still makes it illegal to transmit funds for the purposes of gambling. Luckily, this law was designed to punish gambling sites and not private citizens, so the average person doesn’t have much to worry about. If you can find a virtual sportsbook to accept your wagers, you can gamble without fear. If online betting isn’t an option, you’ll have to find a local underground bookie or wager with a friend. Both of these options are easy to accomplish, although you’ll want to make sure you can trust the individual before placing a bet. Otherwise, a welcher can lead to hard feelings and even the possibility of a physical confrontation, the latter of which is a good way to draw the unwanted attention of law enforcement. Texas faces the same restrictions as most U.S. states, although they do have a tremendous number of college and professional teams to illegally wager on. While a decision to break the law isn’t to be taken lightly, keep in mind that most gamblers (online or otherwise) never have to worry about a run-in with the police. Online sports betting is even safer, as you don’t have to fret about the neighborhood bookie getting busted and ratting you out. As long as you can find a site to accept your business, you should be able to wager on any sporting event without fear of legal repercussions.